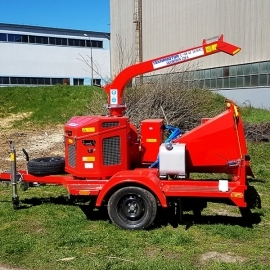 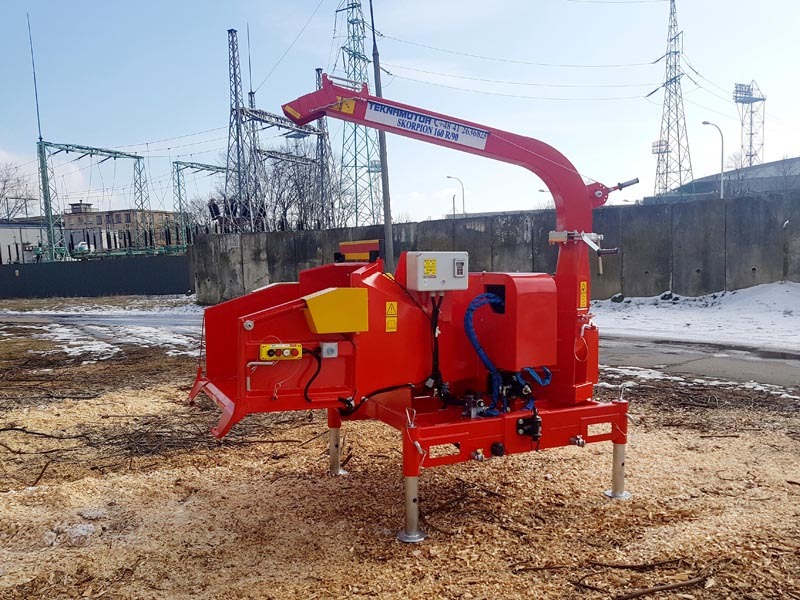 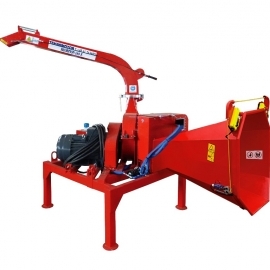 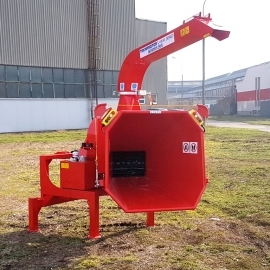 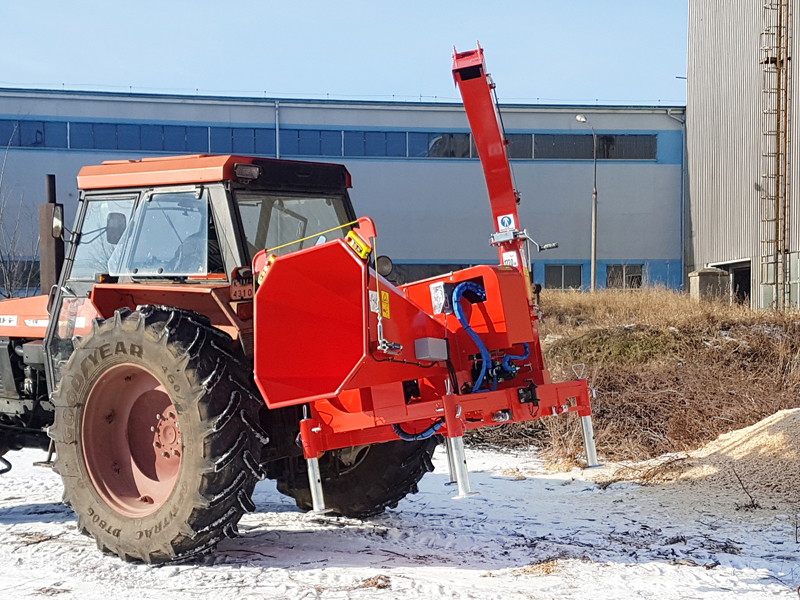 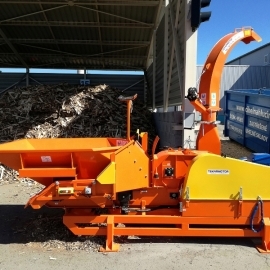 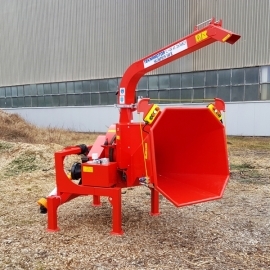 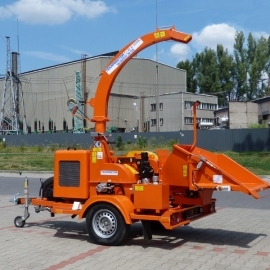 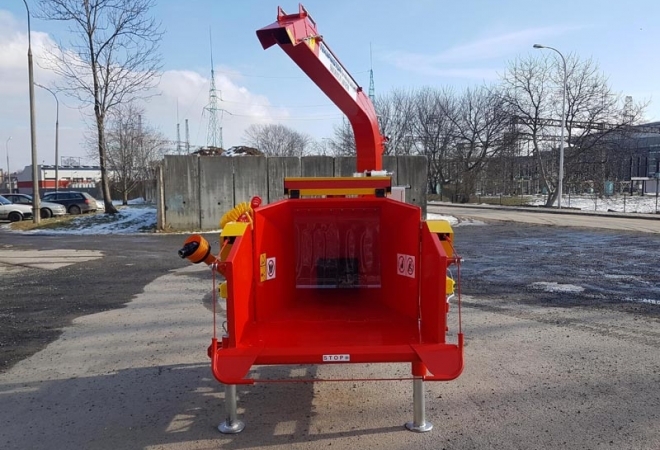 Skorpion 160 R/90 is designed for shredding tree limbs and trunks with a diameter of up to 160 mm. 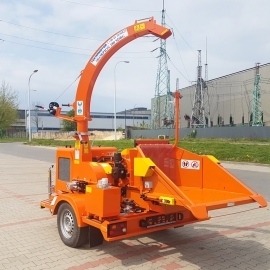 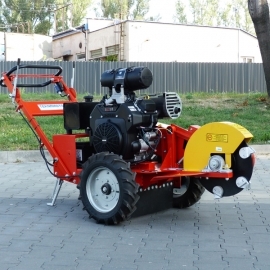 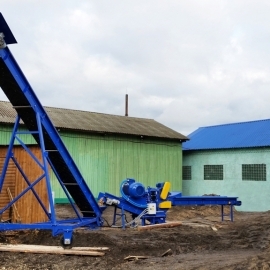 Skorpion 160 R/90 is a disc model with a pneumatic blow-out system on the disc. 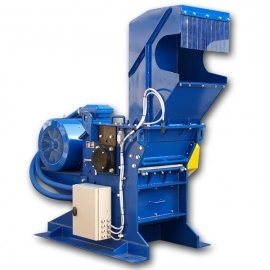 Chips are ejected through the rotating chimney which can turn by 360 degrees in relation to the chassis. 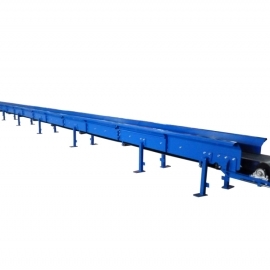 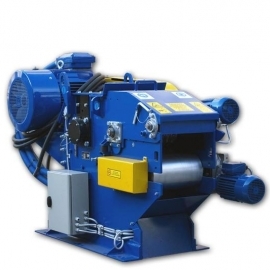 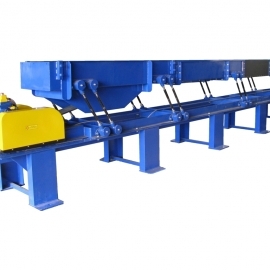 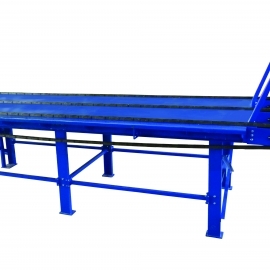 The cutting system consists of a disc with cutting knives sharpened on either side. 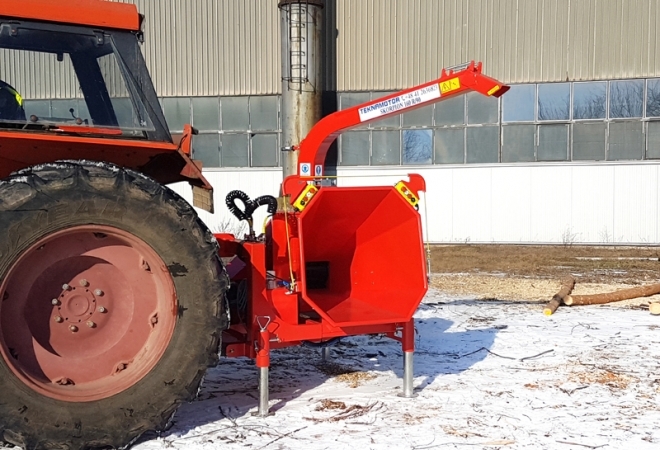 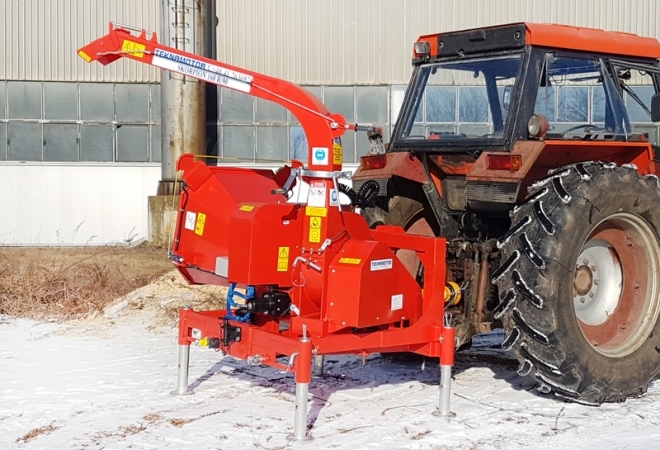 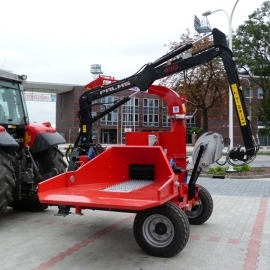 The chipper has a three-point suspension system and is designed to work with an above 80 hp farm tractor. 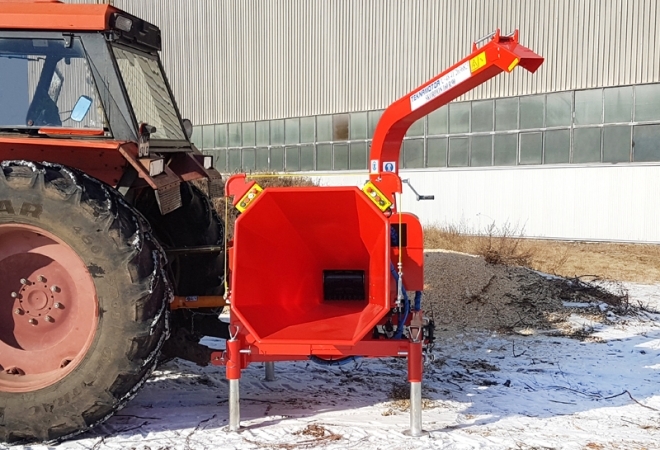 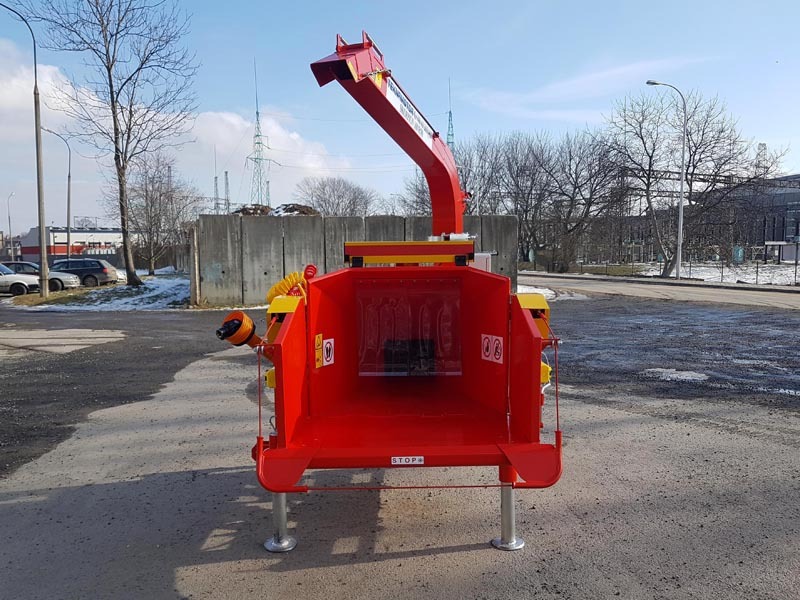 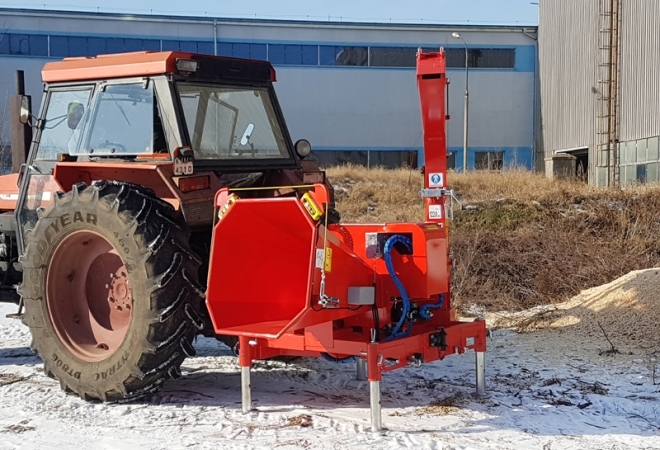 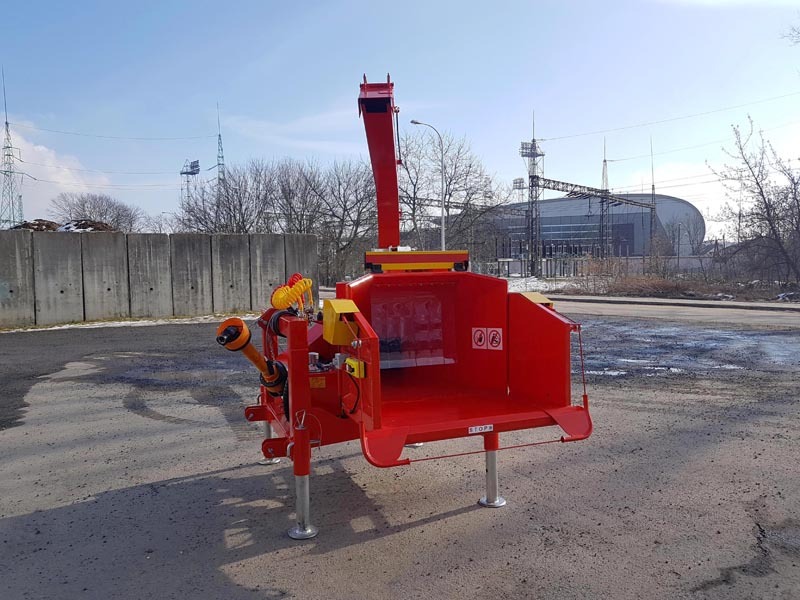 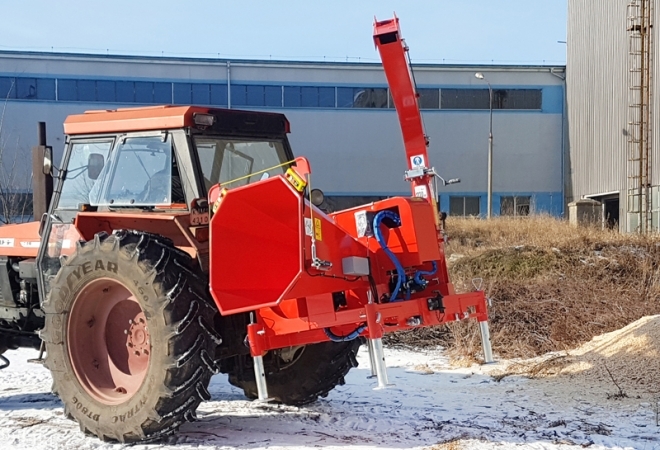 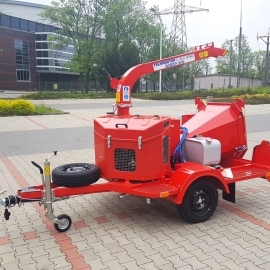 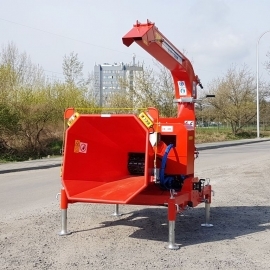 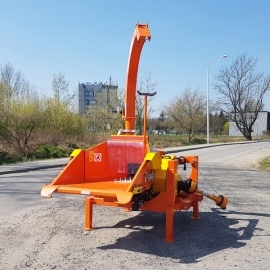 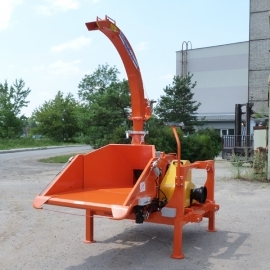 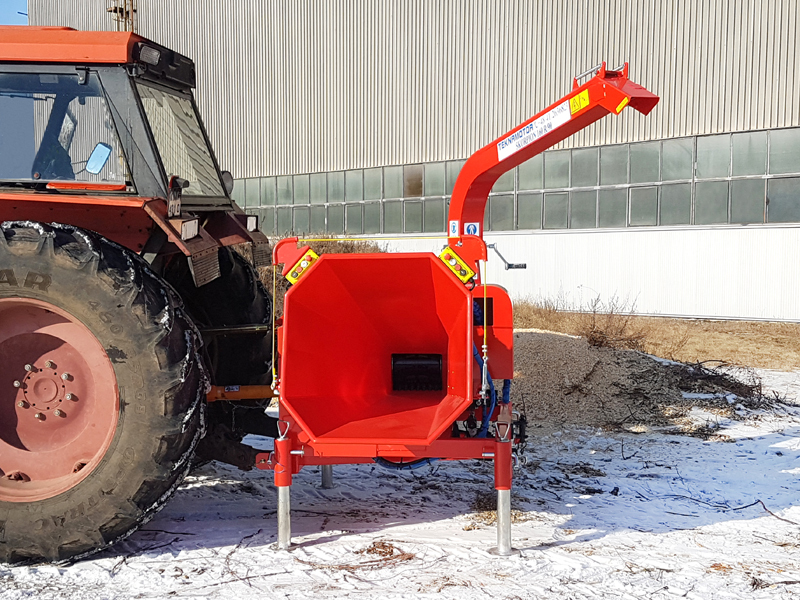 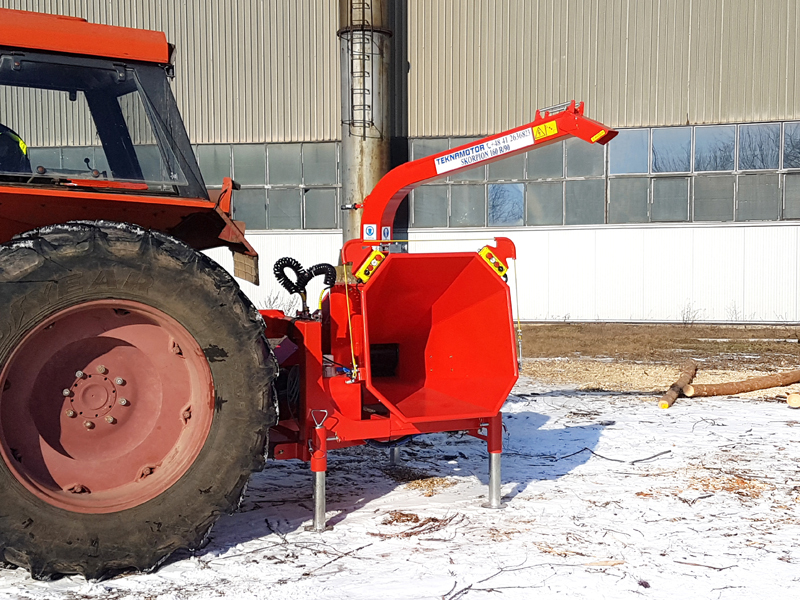 Innovative solution of the lateral position of the inlet hopper enables simultaneous transport of chipper and trailer with a tractor. 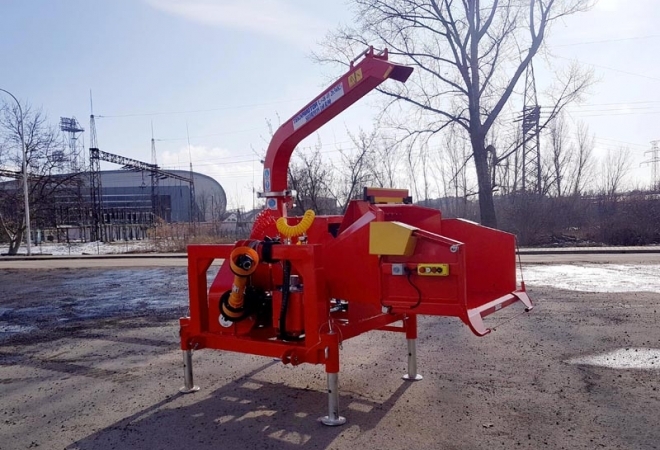 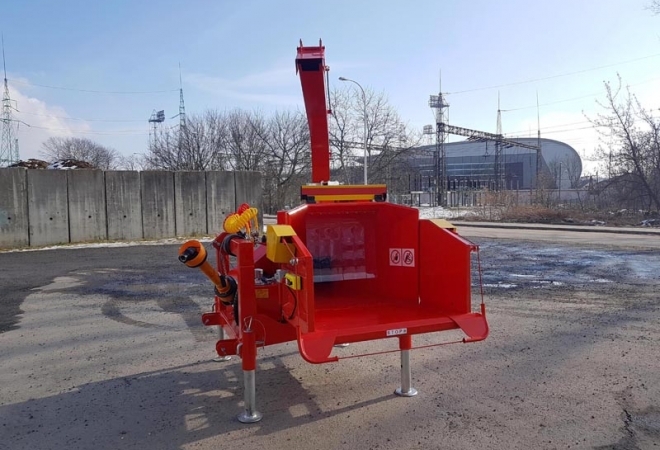 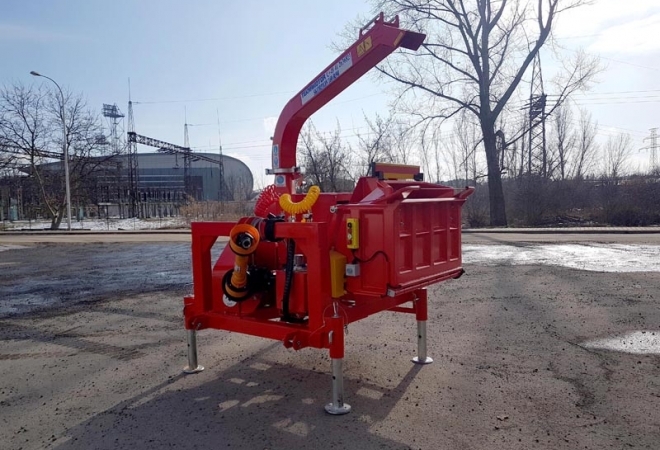 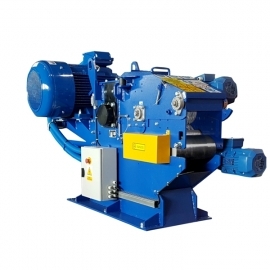 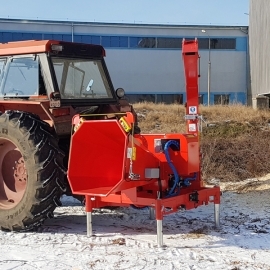 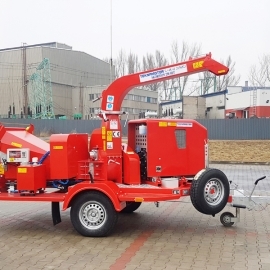 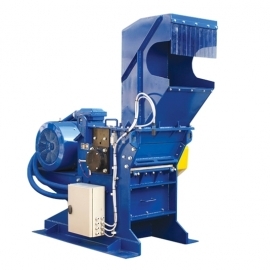 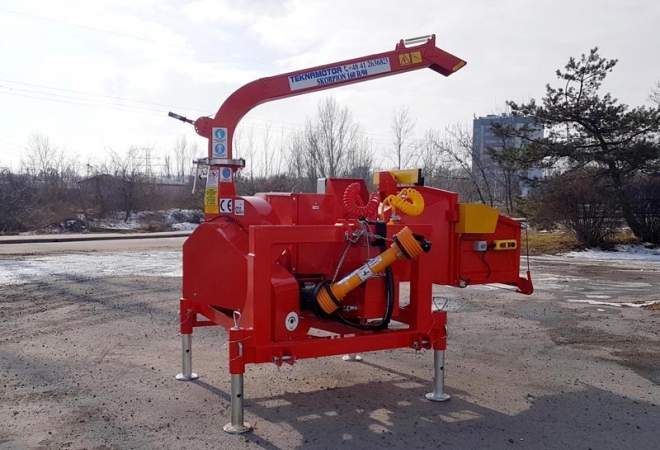 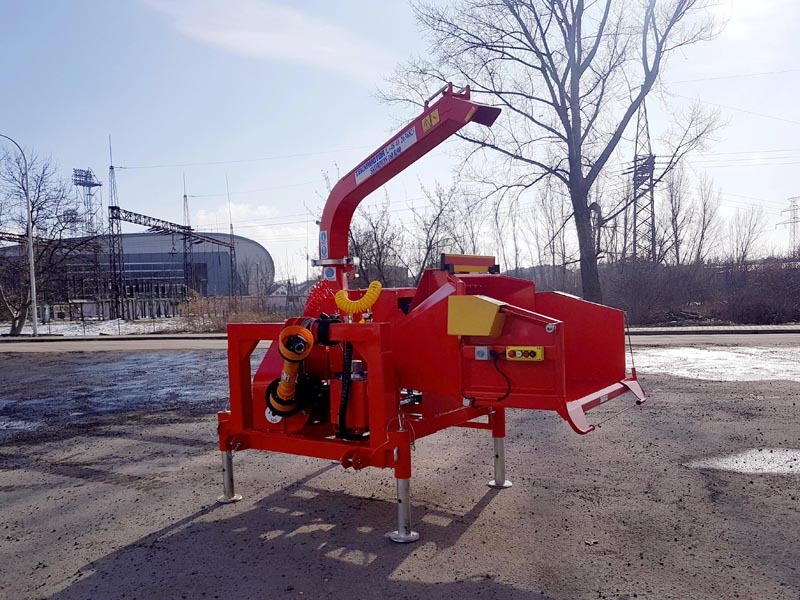 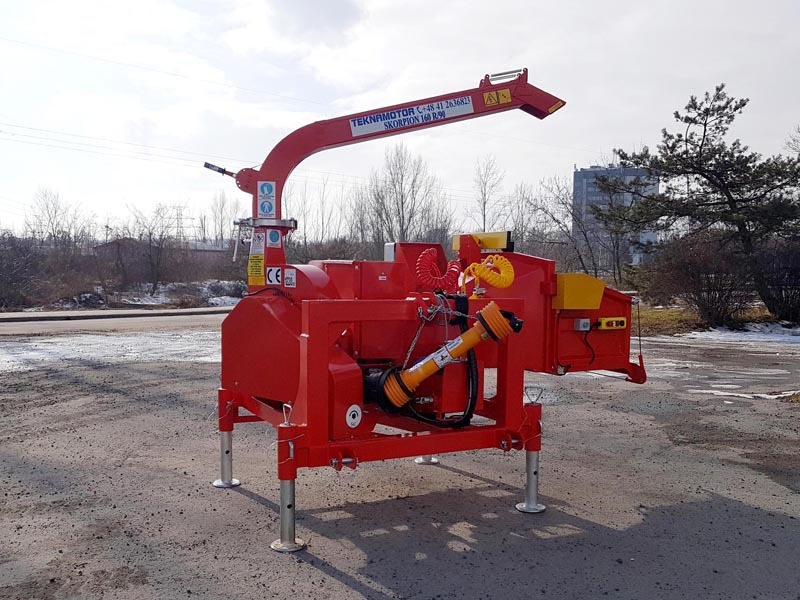 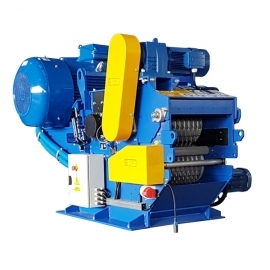 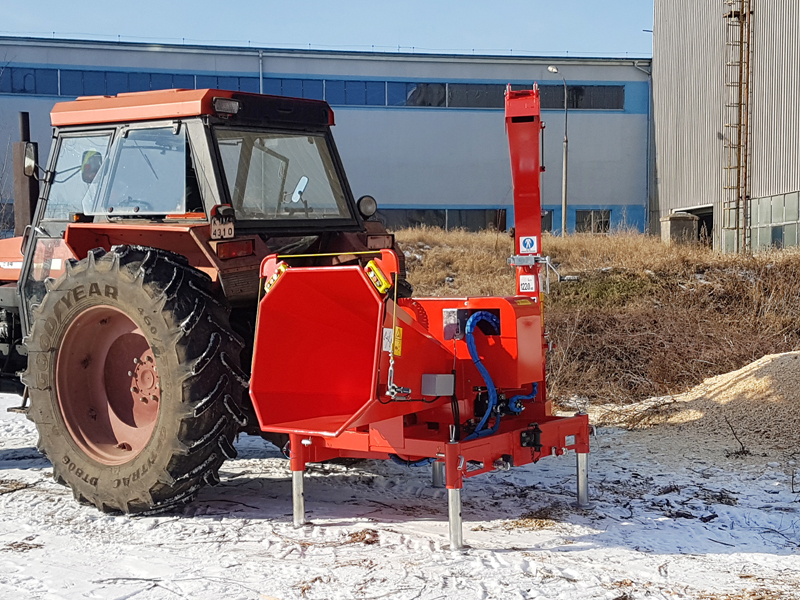 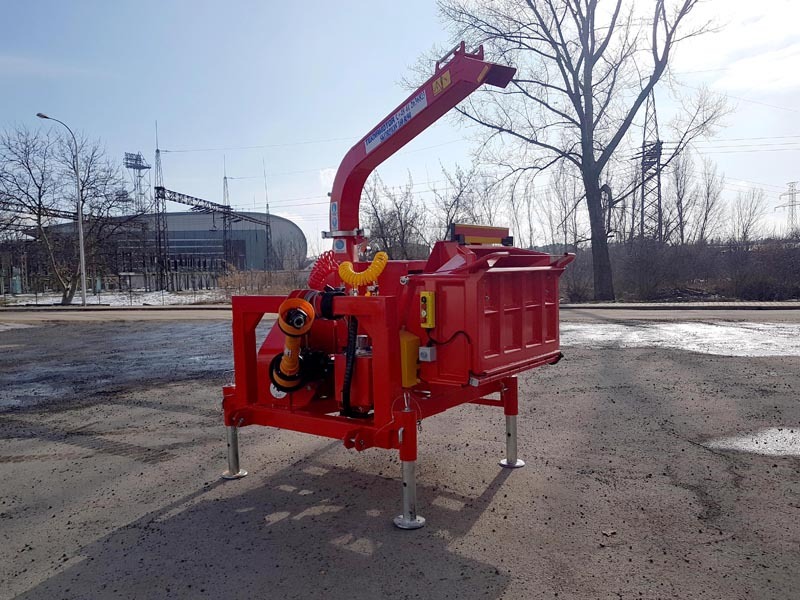 The essential equipment of the chipper includes a hydraulic propulsion system servicing the feeding rollers driven by its own hydraulic pump. 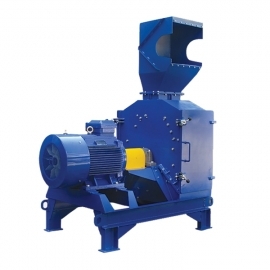 Chips made by Skorpion 160 R/90 can be used as a solid fuel for heating in buildings (burning in ovens/stoves), as raw material to produce compost, for decorative purposes in gardens, parks, etc., and after additional disintegrating in a mill for production of pellets and briquettes.